Front of the recipe card for Apple Pear Coffee Cake. 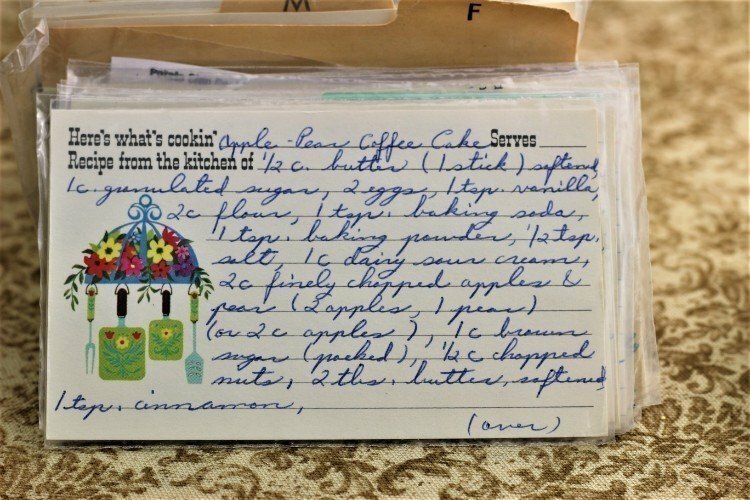 Back of the recipe card for Apple Pear Coffee Cake. 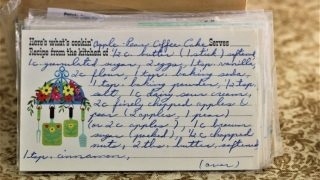 There are lots of fun recipes to read in the box this recipe for Apple Pear Coffee Cake was with. Use the links below to view other recipes similar to this Apple Pear Coffee Cake recipe. 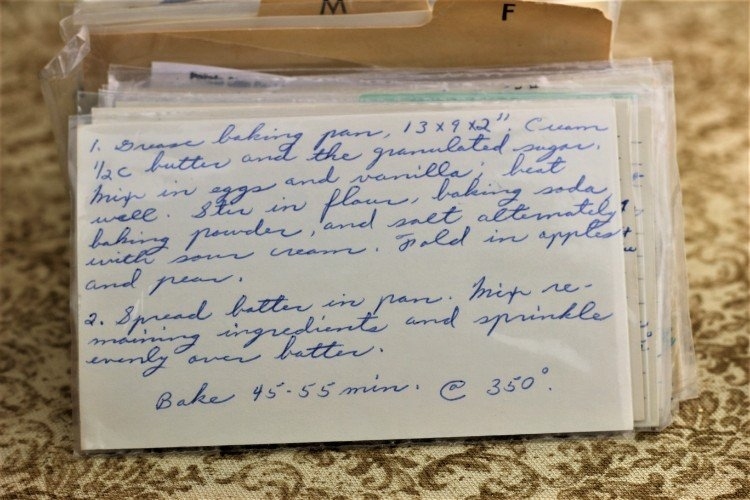 If you make this Apple Pear Coffee Cake recipe, please share your photos and comments below! Cream ½ cup butter and the granulated sugar. Mix in eggs and vanilla; beat well. Stir in flour, baking soda, baking powder, and [salt] alternately with sour cream. Fold in apples and pear. Mix remaining ingredients and sprinkle evenly over batter. Bake 45-55 min. @ 350°.